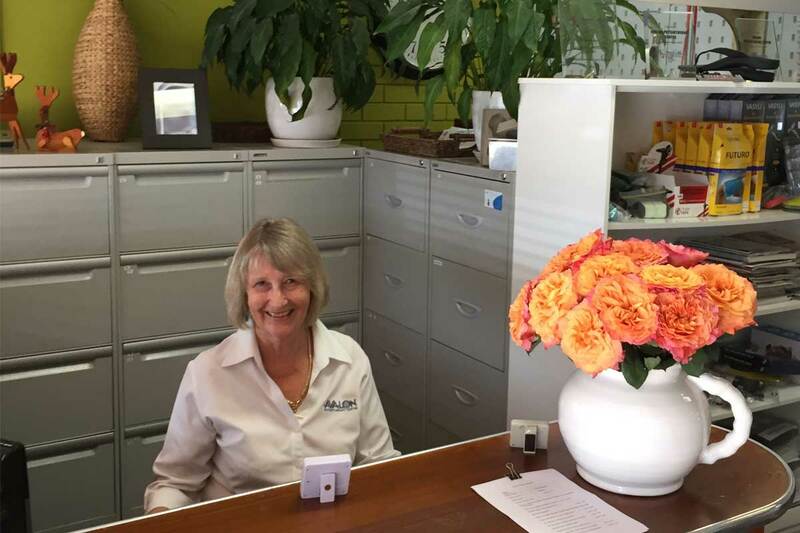 Welcome to the original AVALON PHYSIOTHERAPY CENTRE which has been providing professional and caring Physiotherapy Services to Avalon and Northern Beaches residents for 30 years . Our physiotherapists provide up to the minute Latest Treatment Techniques and exercises which are heavily evidence based .This ensures the speediest recovery from injury and pain available. Our staff will take time to listen to your individual history and symptoms and explain their diagnosis and the treatment pathway to be employed. They will reassess the condition as improvement occurs and reconfigure the treatment and exercise programmes as required . All this in a friendly and fun environment in your Local Community! We are on the ground floor with a large free parking area directly opposite with an unhurried drop off , if needed , right at the front door. We are open early til’ late Monday to Friday and Saturday Mornings. Therefore if you work long hours yourself or need to commute long distances we will find a way to accommodate your busy schedule somehow. AVALON PHYSIO CENTRE prides itself on its professionalism and integrity and yet provides a caring relaxed “locals” environment. It is for this reason that we have a major referral base from all the local Doctors Groups. We also have a close relationship with our expert neighbouring Sport Medicine Physicians and some of Sydney’s Leading Orthopaedic Surgeons. 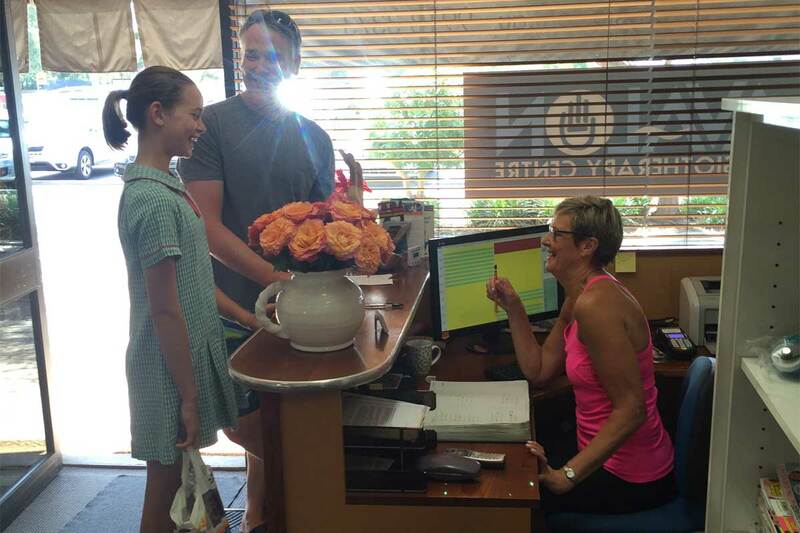 But of most pride is the local word of mouth referrals from our loyal clients over the years. Should your symptoms and history indicate that something other than or additional to Physiotherapy is required , our Physios will guide you in the direction of another Health Professional in order for you to achieve the Optimal and most Expedient result. With 2 and a half decades of Clinical Experience, Warwick loves the Varied Case Load that Private Practice brings every day. Everything from an Acute Ankle Sprain to a Complex Musculoskeletal Condition. Particularly rewarding is the resolution of Chronic Conditions which can become Lifestyle Inhibiting if left untreated. 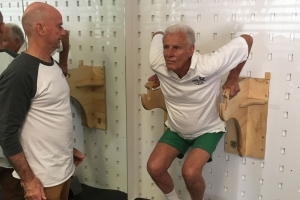 Warwick still enthusiastically engages in constant continued Professional Development and is a committed long term member of the Manual Therapy and Sports Physiotherapy Special Interest within the Australian Physiotherapy Association. Due to his Physical Education Training and Teaching experience, Warwick understands the Biomechanics and Technique Nuances in a Broad Range of sports including the water sports of swimming and kayaking and the throwing and striking sports of cricket, baseball and softball. Having played Local Premier League soccer, A Grade tennis and Grade rugby gives Warwick first hand knowledge of injuries and the prevention thereof in these sports. 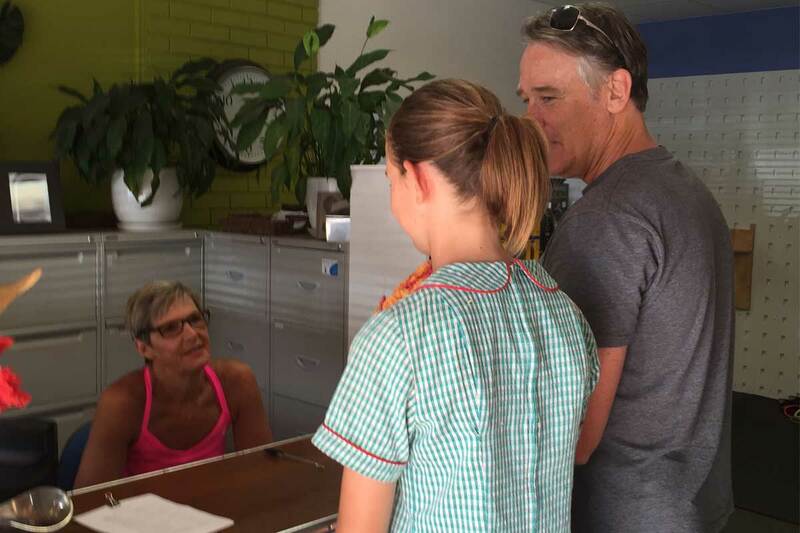 Warwick’s wife Anne, an Australian Netball Legend, has insisted on his attendance at Netball Courts from 1978 ‘til the present day and so Warwick has an extensive knowledge of the the Game’s Rules, Patterns of Play and in particular Injuries. 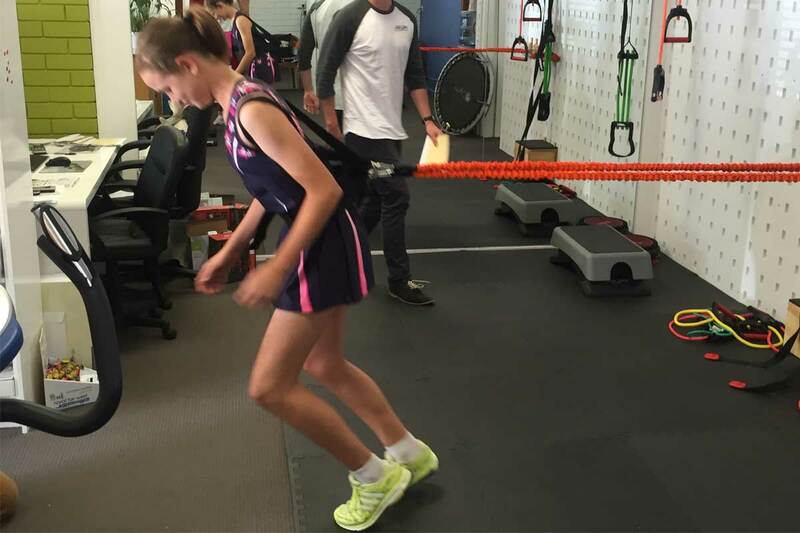 There are now available special test to ascertain whether your daughter is at a greater risk of Knee Injury than most for example. There are, equally, Training Programmes for the Prevention of Knee Injuries in Netball which Warwick can supply. Nick Cracknell has been a member of the Avalon Physiotherapy team since January 2015 . He brings a vitality and enthusiasm but still exudes “old world“ values and earnestness . Nick graduated in 2015 from Cumberland College with his Masters in Physiotherapy Degree , having already completed his Bachelor of Health Sciences Degree at Sydney University in 2013 . His sporting background is Rugby Union based , and his special interest lies in sporting injuries of Rugby , Netball and Soccer players. 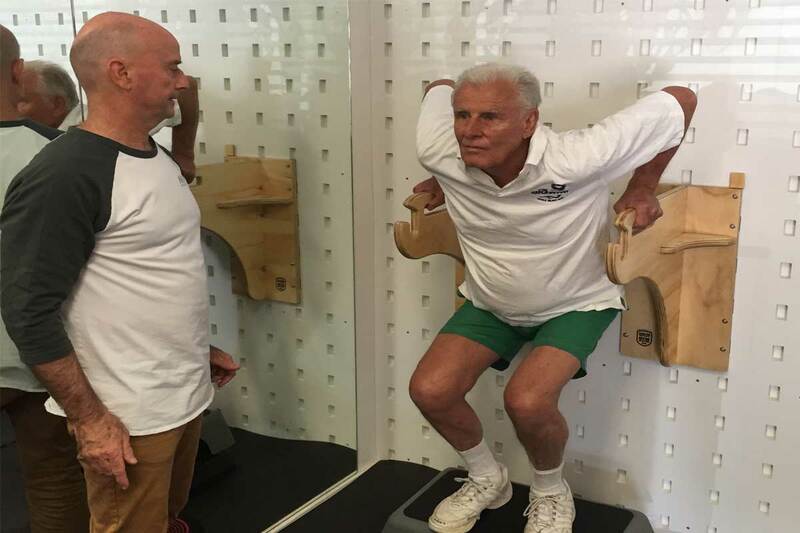 Since practising at Av Physio , however, Nick is finding more and more satisfaction in his successful treatments of patients with neck and back pain. He has already developed a strong local patient “ fan base “ in this regard . In particular , Nick prides himself in his prescription of individualised exercise programmes for his patients . He is always looking for a long term resolution for his patients … not just a “ patch up and return “. Core strength and improved dynamic postural stability are his forte . Early diagnosis of the nature and extent of a sporting injury is essential. 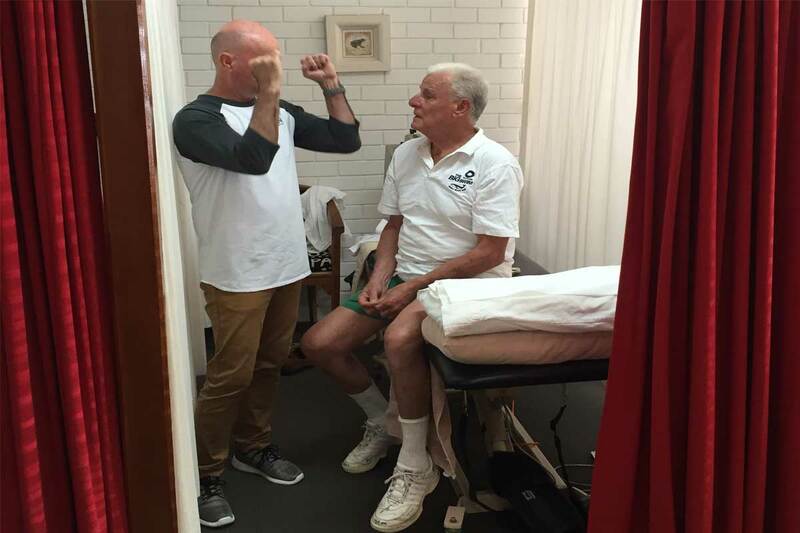 Our skilled physiotherapists will listen to the history of your injury, ask pertinent questions and physically assess the injured area / limb gently and professionally. An immediate provisional diagnosis will be given in conjunction with your own specific care and management plan for the injury. Treatment will follow as appropriate, depending greatly on the nature and extent of the injury. Should an X-ray or further investigation be required, your physiotherapist can organise that either directly or through your G.P. Professional athletes, for good reason, always seek and receive immediate assessment and treatment of injuries whether minor or severe. Delaying action often extends the rehabilitation time and occasionally leads to an avoidable long term disability. Common examples are shoulder and elbow tendonitis in Tennis and Golf, shoulder muscle imbalance in Swimmers and regular Gym attendees as well as knee, ankle and foot overuse injuries in Running and change of direction sports like Netball, Football and Rugby. Our skilled physiotherapists can explain the anatomy and biomechanics of frequent overuse injuries or imbalance issues in your sport. Then he/she will provide a management programme of Do’s and Don’ts as well as important stretching exercises. Lastly they will give strengthening exercises of the opposing muscle groups which provide the equilibrium, stability and control required to remain injury free. Often a subtle correction to an action e.g. pelvic tilt in running or serving action in tennis may be required. We are of course happy to work with your coach in this regard. In a similar vein, your physio may wish to guide you in modifying the amount or type of training you are performing. 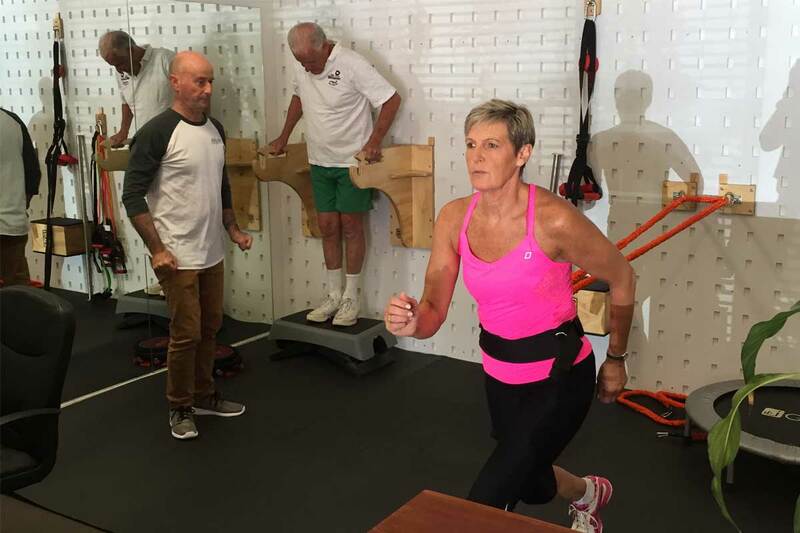 There are some exciting and new dynamic injury prevention programmes emerging almost every month designed by our leading Sports Physios and Physicians, some even generated by administrators of major sports themselves. At Av Physio we can instruct you in dynamic drills for knee injury prevention in Netball and Rugby, for example. There are also new screening tests we can implement to ascertain whether you or your child are at greater risk of ACL injury ( Anterior Cruciate Ligament ) in these sports or any other ballistic change of direction sports. Golfers and racquet sports enthusiasts can improve the power and control of their backswing, contact and follow thru’ by working on them at our new Power Wall in front of our full length mirrors. Your “core” may be sadly letting you down without you knowing it. Avalon Physiotherapy has a great working relationship with some of Sydney’s leading Orthopaedic Surgeons. This reputation has been established over 25 years for our knowledge, care and excellent results in our treatment and rehabilitation of orthopaedic injuries of all kinds. Whether you have undergone a knee or shoulder reconstruction or knee /hip replacement you will receive optimal care at our practice. If our experienced physiotherapists sense an early complication or problem we, equally, can contact your specialist on your behalf to address this ASAP. Fractures and Severe Ligament Sprains… Our physios take great pride in our ability to return a fractured limb and/or severely sprained joint back to normality. The Range of Motion of the limb is gradually and progressively increased with careful manual techniques and home exercises. 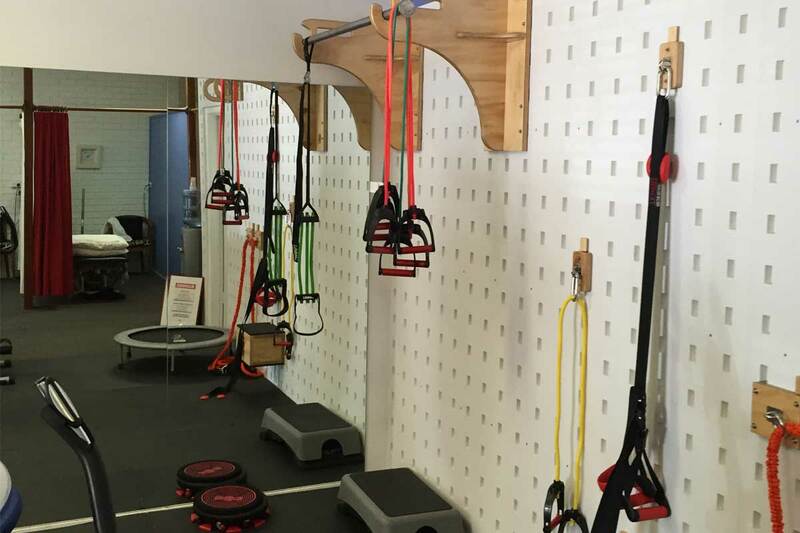 Strength, proprioception and coordination are returned within pain tolerances both in our rooms and in your individually prescribed Home Based Programme. You will have guidance and assistance throughout your ordeal to soften and yet accelerate the rehab experience. Of all regions of the body, by far the most complex is the human spine. If you go to all manner of therapists / websites you will likely discover differing opinion on the best way to treat neck and back conditions of many types. This is not the forum for describing how we treat every specific condition which can causes spinal pain, there is not the space. But the principles of treatment for neck, thoracic and lumbar pain are common sense and somewhat simple. Correct treatment requires thorough history taking and assessment. In order to determine whether the patient requires lots of manual therapy, strengthening, posture correction, imbalance correction, fascial releases, work place changes, weight loss programmes,general fitness etc it is obviously essential to glean information from the patient about their description of the history, nature and distribution of their pain followed by a full physical assessment of the spine . No two spines are the same. Many of our problem areas we inherit from our parents and grandparents… others are acquired through unfortunate injury or poor posture or repetitive actions. It is the physio’s role to not only treat the source of pain at hand but also to look for long term solutions or, at worst, management plans to deal with the source of the problem. For each person the treatment programme will be different depending on their needs. That said, Avalon Physio is definitely a manual therapy and exercise based practice. We will get to the source of your pain with manual techniques and once alleviated, give you exercises whether strengthening or stretching, or both, plus as stated give you a plan of action to prevent this happening again. Our treatment techniques and exercises are not of one school. The very best physios use a variety of treatment techniques to achieve an end. Joint mobilization, fascial releases, neural stretches, muscle energy, acupressure, Nags and Snags, good old fashioned massage, manual traction are only a few of the options. Similarly we draw from evidenced based exercises largely but also from pilates, yoga and functional strengthening exercises using your own body weight as resistance, as nature intended it. Should your neck or back pain be of a serious nature and involve nerve irritation or compression, rest assured that assessment and treatment will be performed professionally with care and concern. Should further investigation be required it will be ordered either directly by your physiotherapist or through your G.P., if you wish. Lastly, if you are looking for a stronger core and better posture control, you must visit our new Power Wall! Treatment for this debilitating form of headache can be very simple if caught early. Gentle mobilisation and massage to the upper cervical spine facet joints and musculature as well as an exercise and posture management plan can have excellent results. Should you come for assessment of your headache and your physio believes that your headache is of a different origin he/she will directly refer you to your GP or appropriate health care professional. This is an area of explosive growth in the world of physiotherapy over the last 3 decades. We are seeing dramatic increases in the numbers of patients with rotator cuff disease and injury for two reasons 1. Improved Diagnosis 2. Computers, Laptops and Deskwork. Sports Physios and Physicians can now accurately assess the nature of a shoulder injury, with or without cuff disease, with clinical testing in rooms. There are a number of very reliable testing procedures we can perform to ascertain the nature and extent of your injury. Should further investigation be required or verification of a diagnosis, your physio can organise this directly or through your GP. Most of the time this is not necessary however. The shoulder is a fascinating and complex joint with marvellous flexibility to enable it to reach in all directions. As a result it, with time, can lack stability…. It relies on the four special little rotator cuff muscles to snug the ball into the socket while the big superficial muscles do the impressive lifting and pulling and pushing… which brings us to number 2. Computers etc… above. It is universally recognised now how important long term poor sitting posture is in the development of upper back pain and neck pain. It is equally important in the development of rotator cuff disease of a degenerative nature. How? Because round shouldered sitting and standing changes the biomechanics of the shoulder ball in the socket. Lifting your arm repeatedly in a round shouldered position changes the orbit of the ball in the socket and begins the mortar and pestle wear of the cuff tendons, the cup itself and the bursa or cushion that sits in the top of the joint. Fixing these degenerative cuff injuries in the long term requires not only immediate pain relief , which everyone of course wants, but also posture correction and strengthening of the relatively weakened muscles of the shoulder blade and upper back. Maybe even workplace and study routine changes too. We are onto it. On the other hand there are many other shoulder injuries which are quick fixes. After our detailed history taking and clinical examination we will inform you of our diagnosis and your expected pathway to recovery. Knee, ankle and foot injuries are the “Glamour” boys and girls of a physio’s world. We love them. There is so much more research done on these three regions than any other region. As a result our knowledge of the structure, biomechanics and interplay of these 3 has expanded rapidly. Even the boofhead TV footy commentators love to diagnose a “Medial” or “ACL” injury in an instant… or an equally impressive “Syndesmosis”. Should you have injured a knee, ankle or foot in a sporting injury or in a leisure pursuit or even for no apparent reason, please do not seek the advice of a football commentator nor a next door neighbour who “had one of those once”. Here at Av Physio we will take a full history and undertake a complete clinical examination of the whole lower limb with reliable testing procedures which are cutting edge. Treatment will be evidenced based and accelerated to achieve the optimal result as quickly as possible. 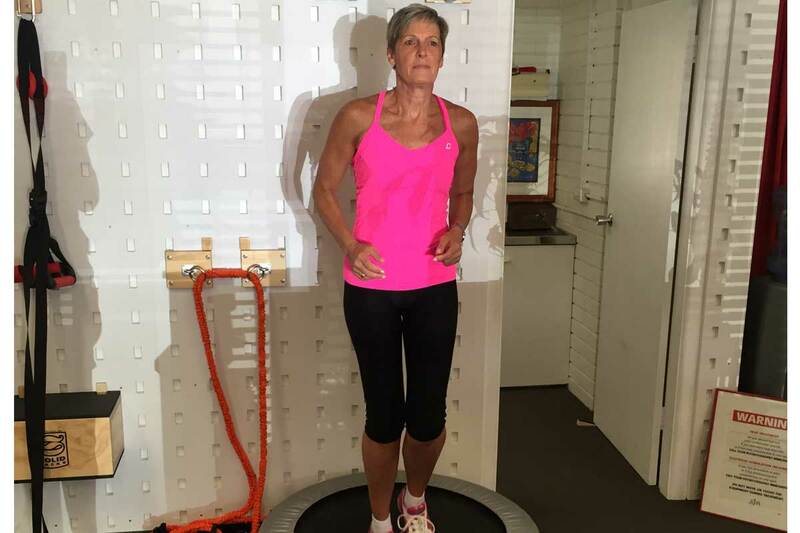 Should your pain be a recurring one, much time will be given to your biomechanics in your lower limb and even pelvis, if necessary, to see if an imbalance has developed. Similarly overuse injuries may require technique changes, alternative footwear or reduced exercise levels. It all depends. Call for an immediate assessment. 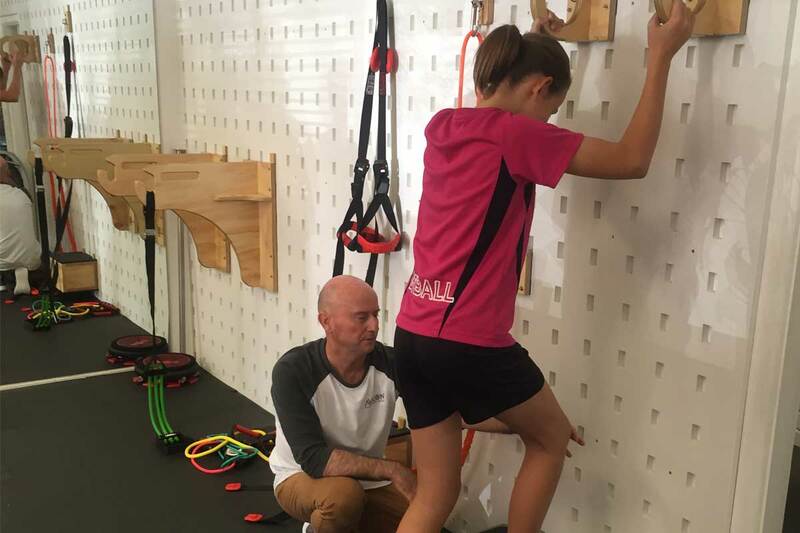 Amazing advances in Sports Physiotherapy Research ( Aussie Physios lead the world here) allow us to perform screening tests on kids and adults to see if they are prone to injury in their chosen sport. One of the most written about lower limb injuries is Anterior Cruciate Ligament (ACL) ruptures. This is a debilitating season-ending knee injury not uncommon in ballistic , change-of-direction sports like Rugby, Netball , Touch Footy etc. It is generally caused when the knee is twisted and flexed over a fixed foot with more force and torque than the ACL can withstand. What is not commonly known ,however ,is that some children and adults have congenital alignments of the lower limb and pelvis which statistically make them more prone to this specific injury. At our practice we can run you through a series of evidence based tests in 30 to 40 minutes to see if you or your child are at greater risk of this injury. Tests include video analysis , Knee angle measurements , muscle testing and Dynamic Lower Limb Stability tests amongst others. Our Physios can supply a complete exercise package to address any weakness/ alignment issue that is detected. Similar testing can be performed for Kneecap tracking problems and treatment initiated before pain and injury occur. One of the most important characteristics of a Health Profession is the ability to question what has gone before with ongoing research and to continually evolve treatment techniques and management protocols depending on the new information derived from that research. The field of Tendon injuries is a prime example. Over the last 15 to 20 years it has been proven conclusively that the vast majority of tendon injuries do NOT in fact have a significant inflammatory component to them. Most are due to repetitive stresses through the tendon which accumulate to cause microtears in the fibres of the tendon and eventually cause changes in the collagen component of the connective tissue within the tendon. This is now why Sports Physios and Physicians call these conditions TENDINOSIS rather than TENDONITIS. So, Achilles tendonitis and Tennis Elbow aren’t really tendonitis at all! Because for the most part they lack the inflammatory ingredient that the name implies. This would explain why anti inflammatory medications, both oral and topical, are often unhelpful historically. What we do know for sure is that early diagnosis and intervention is hugely important in the recovery time to be expected. The pathology within the tendon material can progress dramatically with non treatment and continued overloading . Caught early a tendinosis of an Achilles or elbow or shoulder can be a 2 to 6 week recovery only. Once secondary changes occur in the nature of the collagen ( from normal type 1 to dysfunctional type 3 ) and the vascularisation in the injury site alters to be inefficient and even obstructive in the delivery of the elements of repair… then Houston we have a problem. Recovery will be months to years. So of all injuries physios see, early intervention to tendon injuries is perhaps the most urgent ! A complete history of the development of the pain and common stiffness associated with tendinosis ( and the rarer Tendonitis …yes they still do occur ) is so important. Finding the exact cause or combination of causes is paramount. Proper management is as important as proper treatment here. So we must find out what it is you have been doing, to what extent you are doing it and exactly how you have been doing it. And we must change it. As well, of course, your physio will guide you in do’s and don’ts in your activities of daily living to expedite your tendon’s recovery. A full physical assessment will reveal to the physio the type and extent of your tendinopathy . Putting the patient through the causative action is often revealing as it can be helpful in correcting a biomechanical error in performance and can lead to an alternative safer action. The cause of the overloading is a key to fixing the problem. It can be as simple as hauling an enthusiastic athlete back a rung or two or a to the point letter to an overbearing employer demanding an unrealistic workload. Most commonly it is a self inflicted repetitive injury in someone who has simply pushed their tendon past the tipping point where the recovery/healing process cannot keep up with the repeated load for whatever reason. And so our knowledge evolves and therefore so do our treatment techniques and exercise regimens. Your physio will describe these in detail at your assessment consultation. Treating hip and groin pain is akin to sonar and submarine exploration of our deepest ocean valleys… the depth of the structures and the multi-layering of landscape make specific diagnosis difficult at times. Many structures in the hip and pelvis give similar symptoms and frequently the cause of people’s pain comes from a combination of factors. Therefore seeking professional diagnosis and treatment is essential. 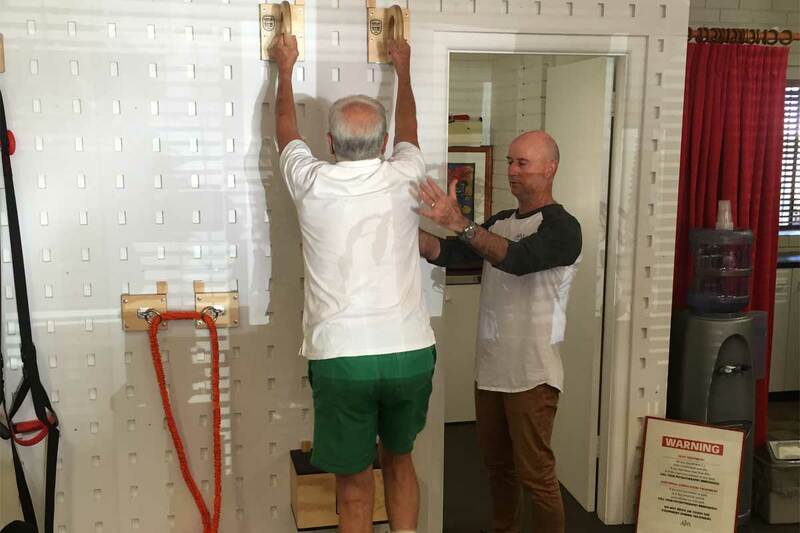 At Avalon Physio Centre your physio will go through a series of passive and active and resisted tests which, along with your history, will allow an excellent indication of the problem at hand. Gait analysis is commonly required as this region of the body is the fixation point for your longest and most powerful lever… the leg. How you walk and run therefore impacts immediately and directly to the hip joint, labrum, capsule, ligaments and multiple layers of muscles. Similarly stiffness in the lower spine and pelvis ( or conversely instability ) can cause imbalance and altered biomechanics in the hip and groin too. Once analysis has been performed and a provisional diagnosis arrived at, your physio will immediately set about settling the painful structures and provide an explanation to the proposed pathway to recovery, which may be lengthy or short depending on the problem. Suffice to say fixing a new / acute problem is easier than healing a chronic/ old one. So, please seek treatment as early as you can if your symptoms aren’t disappearing quickly….ask the advice who can help you ASAP. Heel Pain can be the result of many causes, of course. Everything from trauma to sciatica to Achilles Tendinosus to Sever’s Disease ( Growing Pains in the Young and active ). But more and more commonly physios are seeing increased numbers in the incidence and diagnosis of Plantar Fasciitis. Because of it’s current rise in “Popularity” you can buy any number of gadgets, ointments and devices claiming to cure it. It is a really interesting condition which is mostly due to the overloading of the “fascia” or trampoline-like connective tissue under your foot which runs from the heel bone and spreads out to the balls of your feet. Most people only report for treatment when they have been struggling with pain under their heel for months and it has worsened to be unbearable to walk on. Most commonly people report severe early morning pain on first rising which settles a bit with walking but eventually builds again with time on their feet. Treated early ( first days to 2 weeks ) the condition is easy to settle. However, once the condition is allowed to gain hold ( Months ), it is increasingly difficult to eradicate. Therefore the appeal of magic products which claim amazing quick recovery. Everyone wants to be out of pain as quickly as possible. Generally they don’t work because the factors which caused the condition to occur in the first place are still in play. The primary focus of a practitioner here is to analyse the cause of the overloading and to change the factors feeding it. Often there is a trigger or event, such as a long walk on hard sand or standing long hours on a hard floor or the start of an exercise programme, which is the straw that breaks the camel’s back and the condition worsens from there. The structures under the foot which hold up your arches are able to cope with a certain load, but if you exceed that load too long or too often they will break down and become increasingly inflamed. Additionally as the arches collapse the foot tends to roll in or Pronate which then directly loads a bony point on the inner edge of your heel bone underneath. This is the trouble spot. That bony point is supposed to be tucked away and protected from load bearing directly. So, fixing one of these requires a multitude of things to be done…. All at the same time! Most people try one thing at a time, like ice for a week, or stretches that someone showed them or just orthotics without also stopping the activity which is driving the overload. You need an astute physio to assess the causes of your overloaded feet and treat the condition locally with manual techniques, massage, supportive taping and ice… but also to guide you FIRMLY in the things to do, such as correct footwear, floor surfaces, arch support, icing, rest, stretching appropriately… and also FIRMLY to pull you back from continuing activity and practices which are preventing your underfoot structures from healing themselves. You need to do many things all at the same time. This takes commitment and perseverance. A lot of people are not prepared to do it. But it is the only way to make Chronic Plantar Fasciitis better. If you are fed up with your sore heels and want a common sense and evidence based treatment that will work, call us. No, physiotherapy can’t cure arthritis… either osteo or rheumatoid. Nor Lupus nor psoriatic arthritis nor scleroderma for that matter nor spinal inflammatory joint disorders like ankylosing spondylitis amongst others. But a commonsensical well trained physiotherapist can be invaluable to sufferers of such conditions. Invaluable to the team of people who assist sufferers of such conditions, including you, your GP and your rheumatologist. Physios do not claim to cure any of the above but with measured doses of careful and considered manual therapy complemented by an achievable strengthening programme we can maximise the mobility and use of arthritic limbs and spines. Similarly, designing sensible individualised general exercise programmes for people suffering from the more aggressively inflammatory joint disorders is possible. Credence must be given to the ebb and flow of these, at times, debilitating conditions. Push on in good phases and make a sensible retreat in flare up periods. Not rocket science. The Northern Beaches is choc – a block full of retirees and oldies who love the wonderful northern beaches environment and lifestyle. Why wouldn’t you choose to retire up here? But equally, what a tragedy when you can’t get out there to enjoy it? When feelings of frailty and fear of falls stops you from doing what you formerly used to love doing. Sometimes it’s a result of one fall and sometimes it’s just a gradual decline in fitness and strength. Almost always it is accompanied by the awareness of worsening ability to balance, change direction steadily and cope with uneven surfaces. Fact No. 1 Balance and the ability to change direction safely and cope with uneven surfaces are simply skills that can be improved with practice. Like any other skill. You just haven’t practised them in a safe environment for a while. Fact No. 2 Old people are able to strengthen their muscles at approximately the same rate as young people. Fact No. 3 Strengthening programmes lead to significant reduction to falls risk. Fact No 4 Strengthening and balance exercises can be half-way fun! One way to get started, of course, is to get started with groups of similar situated retirees in local community centres which are often extremely well run. Or aquarobics groups for an even softer introduction. But if you are not a group person and want a one on one, more personal programme of supervised exercises, our physios can certainly provide this for you. We don’t tend to use big machines like in the large gyms. Instead we like to use your own natural body weight for resistance. Maybe small hand weights and maybe some resistance bands too. But mostly functional strength and balance exercises which mirror real life challenges. This way, we believe, you are much more confident with the challenges of curb and stair climbing and with negotiating getting out of a deep chair easily and with slopes and dips in pavements. Be assured, contact and communication with your G.P. re any general health issues will be sought as required. Similarly any visual disability whether depth perception or focus problems may entail the assistance of your optometrist. Our professional Physiotherapists can prescribe either a specific exercise programme that targets problematic regions of your body or a general programme more tailored to general fitness , tone and wellbeing. An important point of difference with our exercise prescription is that whatever exercise we give we try to make it as functional and achievable as we can and also do-able at home . So we tailor a series of exercises in our rooms specific to your needs and get you to perform these between sessions with minimal equipment at home . Being locals we can even advise on local terrain and facilities available near your home that you can take advantage of. Our new Power Wall and full length mirrors give us an additional advantage . By being able to change anchor points of resistance on our Power Wall we can very specifically target a line or angle of pull of a swimming action , a golf swing in the impact zone , a serve or overhead in tennis etc . Our Power Belt with resistance Bands can be so useful in developing core control and perfect limb alignment in running . The visual feedback provided by our full length mirrors with all exercises and core work has been a fantastic teaching tool in our patients gaining insight into moving in the correct alignment and with excellent control…no matter what the task. All this in a professional caring local environment .